HAS DEPOSIT! Wendy Sweetest Red Female CKC Shihpoo Wants To Be Your Baby Girl! HAS DEPOSIT! CONGRATULATIONS MCNEAL FAMILY! Waiting on my new name and my new home is in Jacksonville, FL! What a cutie pie She has been prayed over for finding her forever home . I’m Wendy and my Grandma Woof Woof says I am a real cutie just look at my gorgeous red color with gorgeous curls and yes I have the cutest full tail! Making me a real a people stopper everywhere we go! I’m one of three females in my litter of four and my litter theme is after the Disney Movie Peter Pan. I’m a female CKC Shihpoo (that is a Shih Tzu & Poodle Mix) My mom Sophie is a 12 Lb Shihpoo and my Poodle Daddy Prince Abraham is a 8 lb apricot color. I’m my Daddy last litter as he was adopted into his new fur-ever home to enjoy having a special family like I will have. I am 75% poodle and 25% Shih Tzu making me really smart with my poodle brain. My estimated adult weight is 7-8 lbs unlike regular size Shih Tzu that weigh 18-22 lbs I promise to be the baby girl who is ready to steal your heart! « HAS DEPOSIT! 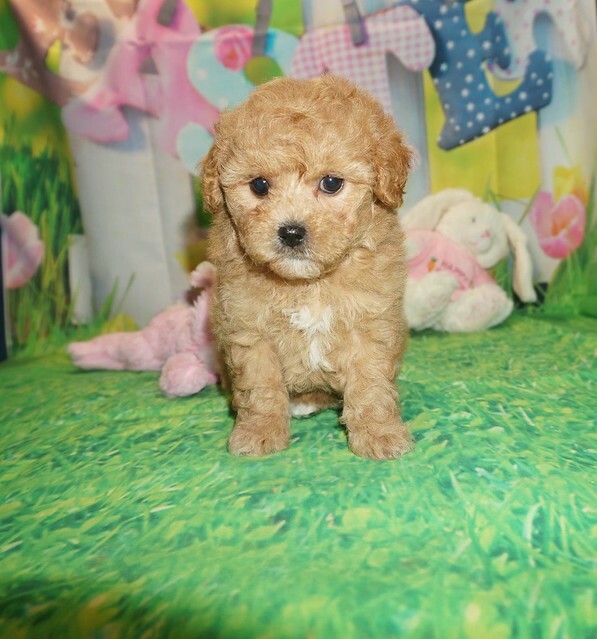 Peter Pan Gorgeous Male CKC Shihpoo Will Melt Your Heart!